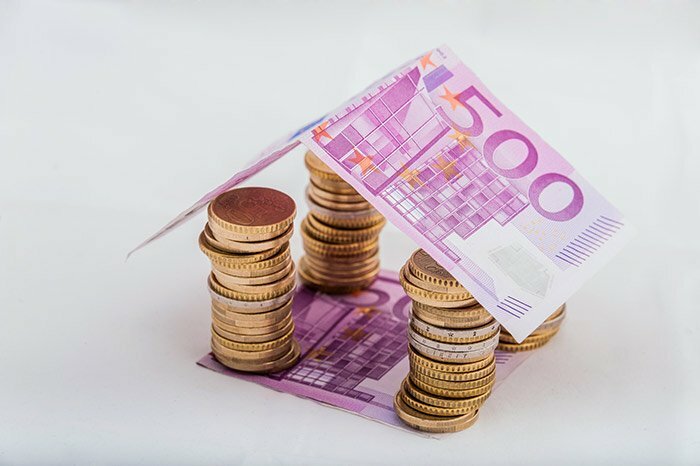 In Illinois, a court shall equitably divide the marital property between the parties; equitable division does not necessarily mean an equal division, as there are numerous factors that the Courts consider in making a property division. Some of these factors include each parties’ contribution, the length of the marriage, the age and health of the parties, the non-marital property assigned to either party, whether the division is in lieu of maintenance, and the parties’ respective abilities to acquire additional assets after divorce, just to name a few. In discussing the disposition of property and debts, “marital property” means all property, including debts and other obligations, acquired by either spouse subsequent to the marriage, except the following, which is known as “non-marital property”: (1) property acquired by gift, legacy or descent or property acquired in exchange for such property; (2) property acquired in exchange for property acquired before the marriage; (3) property acquired by a spouse after a judgment of legal separation; (4) property excluded by valid agreement of the parties;(5) any judgment or property obtained by judgment awarded to a spouse from the other spouse except, however, when a spouse is required to sue the other spouse in order to obtain insurance coverage or otherwise recover from a third party and the recovery is directly related to amounts advanced by the marital estate, the judgment shall be considered marital property; (6) property acquired before the marriage, except as it relates to retirement plans that may have both marital and non-marital characteristics; (6.5) all property acquired by a spouse by the sole use of non-marital property as collateral for a loan that then is used to acquire property during the marriage; to the extent that the marital estate repays any portion of the loan, it shall be considered a contribution from the marital estate to the non-marital estate subject to reimbursement; (7) the increase in value of non-marital property, irrespective of whether the increase results from a contribution of marital property, non-marital property, the personal effort of a spouse, or otherwise, subject to the right of reimbursement provided in subsection (c) of this Section; and (8) income from property acquired by a method listed in paragraphs (1) through (7) of this subsection if the income is not attributable to the personal effort of a spouse. For purposes of distribution of property, all property acquired by either spouse after the marriage and before a judgment of dissolution of marriage or declaration of invalidity of marriage is presumed marital property. This presumption includes non-marital property transferred into some form of co-ownership between the spouses, regardless of whether title is held individually or by the spouses in some form of co-ownership such as joint tenancy, tenancy in common, tenancy by the entirety, or community property. A spouse may overcome the presumption of marital property by showing through clear and convincing evidence that the property was acquired by a method listed or was done for estate or tax planning purposes or for other reasons that establish that the transfer was not intended to be a gift. All pension benefits (including pension benefits under the Illinois Pension Code, defined benefit plans, defined contribution plans and accounts, individual retirement accounts, and non-qualified plans) acquired by or participated in by either spouse after the marriage and before a judgment of dissolution of marriage or legal separation or declaration of invalidity of the marriage are presumed to be marital property. A spouse may overcome the presumption that these pension benefits are marital property by showing through clear and convincing evidence that the pension benefits were acquired by a method listed. The value of pension benefits in a retirement system subject to the Illinois Pension Code shall be determined in accordance with the valuation procedures established by the retirement system. The recognition of pension benefits as marital property and the division of those benefits pursuant to a Qualified Illinois Domestic Relations Order shall not be deemed to be a diminishment, alienation, or impairment of those benefits. The division of pension benefits is an allocation of property in which each spouse has a species of common ownership. All stock options and restricted stock or similar form of benefit granted to either spouse after the marriage and before a judgment of dissolution of marriage or legal separation or declaration of invalidity of marriage, whether vested or non-vested or whether their value is ascertainable, are presumed to be marital property. This presumption of marital property is overcome by a showing that the stock options or restricted stock or similar form of benefit were acquired by a method listed. The court shall allocate stock options and restricted stock or similar form of benefit between the parties at the time of the judgment of dissolution of marriage or declaration of invalidity of marriage recognizing that the value of the stock options and restricted stock or similar form of benefit may not be then determinable and that the actual division of the options may not occur until a future date. In making the allocation between the parties, the court shall consider, in addition to the factors set forth, the following: (i) All circumstances underlying the grant of the stock option and restricted stock or similar form of benefit including but not limited to the vesting schedule, whether the grant was for past, present, or future efforts, whether the grant is designed to promote future performance or employment, or any combination thereof. (ii) The length of time from the grant of the option to the time the option is exercisable. As to any existing policy of life insurance insuring the life of either spouse, or any interest in such policy, that constitutes marital property, whether whole life, term life, group term life, universal life, or other form of life insurance policy, and whether or not the value is ascertainable, the court shall allocate ownership, death benefits or the right to assign death benefits, and the obligation for premium payments, if any, equitably between the parties at the time of the judgment for dissolution or declaration of invalidity of marriage. Commingled property should be discussed with your counsel. When one estate of property makes a contribution to another estate of property, the contributing estate shall be reimbursed from the estate receiving the contribution notwithstanding any transmutation. No such reimbursement shall be made with respect to a contribution that is not traceable by clear and convincing evidence or that was a gift. The court may provide for reimbursement out of the marital property to be divided or by imposing a lien against the non-marital property that received the contribution. When a spouse contributes personal effort to non-marital property, it shall be deemed a contribution from the marital estate, which shall receive reimbursement for the efforts if the efforts are significant and result in substantial appreciation to the non-marital property except that if the marital estate reasonably has been compensated for his or her efforts, it shall not be deemed a contribution to the marital estate and there shall be no reimbursement to the marital estate. The court may provide for reimbursement out of the marital property to be divided or by imposing a lien against the non-marital property which received the contribution. On the other hand, non-marital property may be awarded to the party who owns it. The court may seek the advice of financial experts or other professionals, whether or not employed by the court on a regular basis. The advice given shall be in writing and made available by the court to counsel. Counsel may examine as a witness any professional consulted by the court designated as the court’s witness. Professional personnel consulted by the court are subject to subpoena for the purposes of discovery, trial, or both. The court shall allocate the costs and fees of those professional personnel between the parties based upon the financial ability of each party and any other criteria the court considers appropriate, and the allocation is subject to reallocation. Upon the request of any party or upon the court’s own motion, the court may conduct a hearing as to the reasonableness of those fees and costs.